Covered with deep, punched-in craters, Saturn’s 168-mile- (270-km-) wide moon Hyperion resembles a sea sponge more than it does a moon. 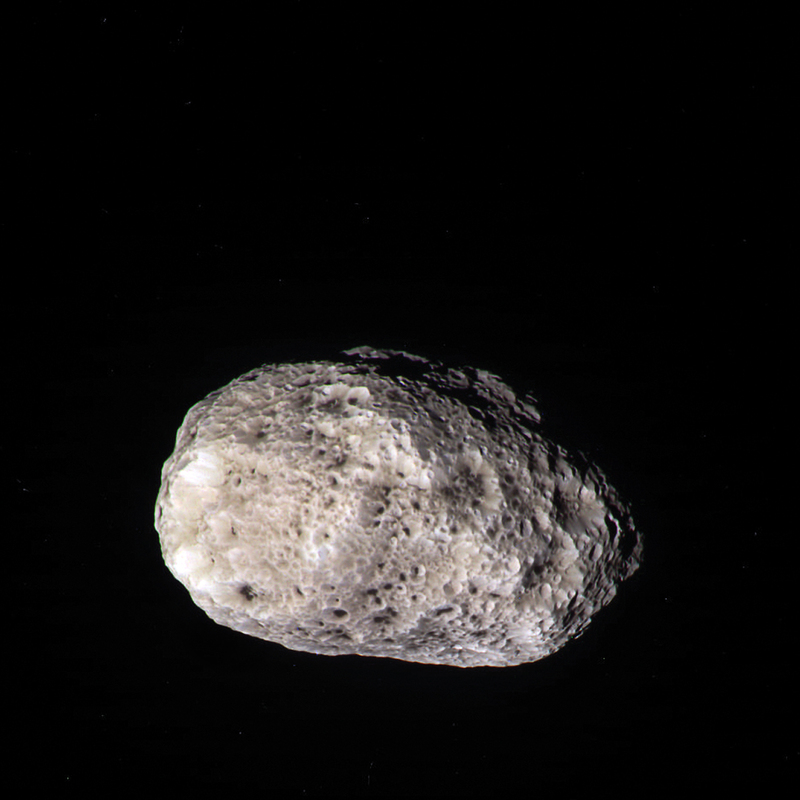 But a moon it is…in fact, Hyperion is the largest irregularly-shaped moon in the solar system. This image, one of the first sent back from Cassini since awakening from its three-week-long “safe mode” following a bad line of code, was taken on November 28, 2010 from a distance of over 74,000 km (46,000 miles). Read more about Hyperion here. ADDED: here’s a color image of Hyperion, made from raw image data taken with Cassini’s green, UV and infrared color filters. As a result it may not be true-color, but it gives an idea of the color variety of this moon and adds a nice bit of depth, IMO! 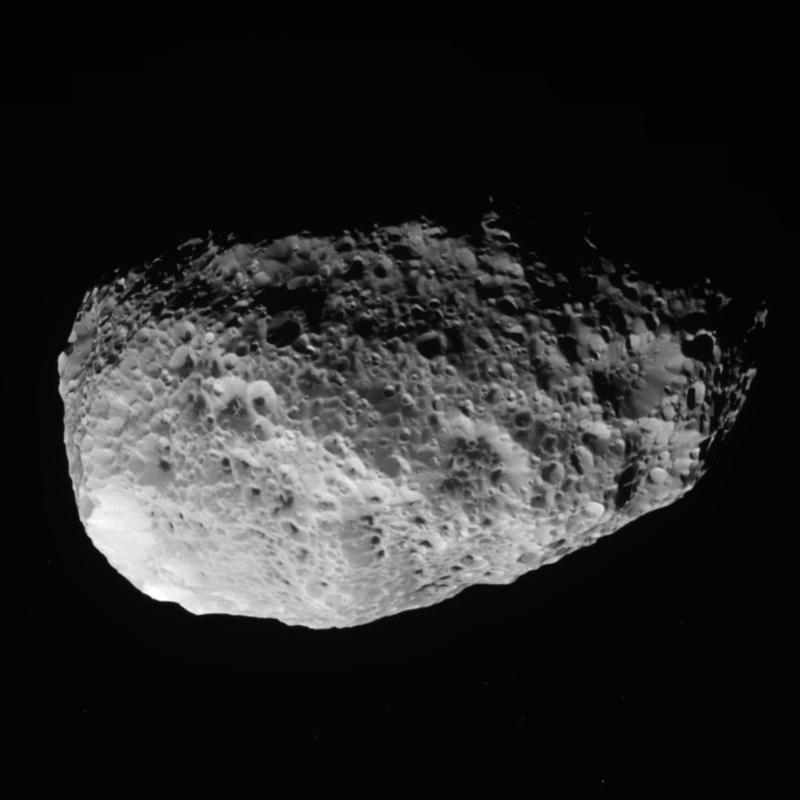 Color composite of Hyperion. NASA/JPL/SSI/J. Major.